Raise your hand if you know the reference to this meme? 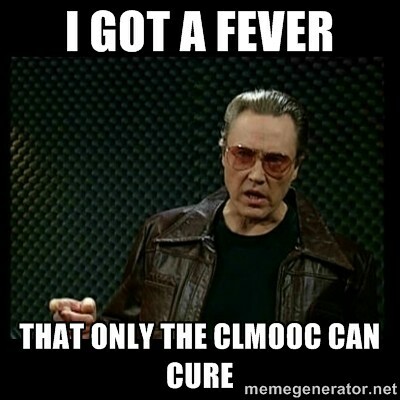 As part of our exploration of memes as cultural currency with the Making Learning Connected MOOC, I decided to use this particular meme and deconstruct it a bit. 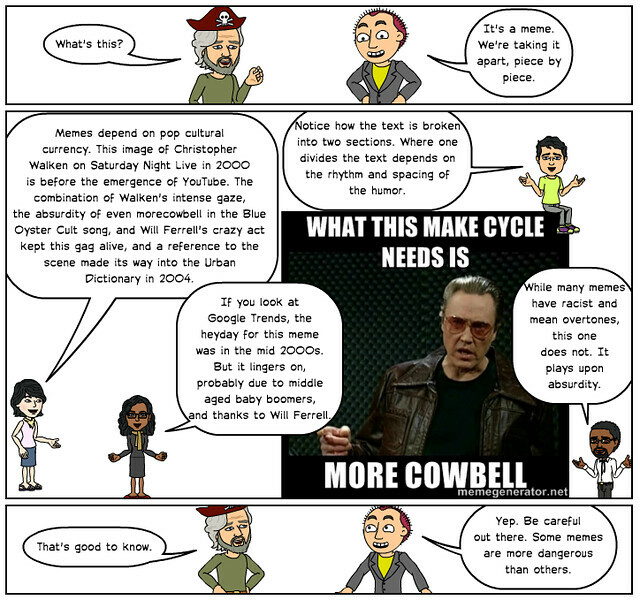 And I decided to do it in comic form. 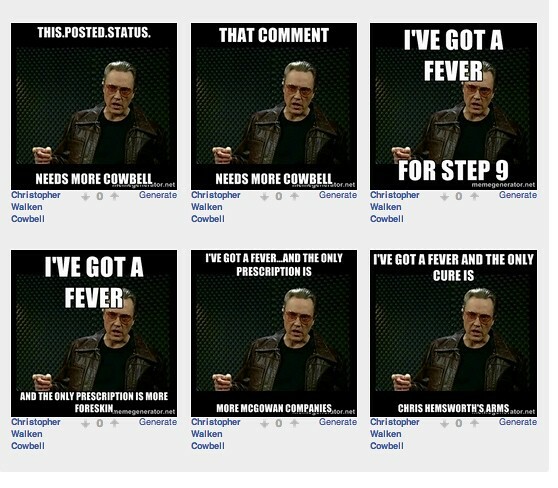 This is just a sampling of the hundreds of variations of this meme at this one site. You can see all sorts of references to businesses, inside jokes, friends and more. 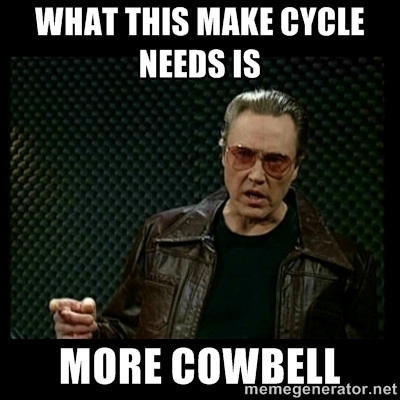 Over at Meme Generator, you can even set up a Meme Generator, so if you truly want more cowbell, then go make a meme!